Are you prepared for workshop participants with reduced hearing? Those of us with little experience may tend to see all people with reduced hearing as falling into the same category – but nothing could be further from the truth. The only thing that people with reduced hearing universally have in common is lip-reading. 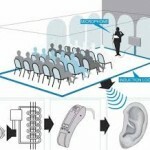 There is a continuum of people with reduced hearing between two end-points – the Hearing Loss and the Culturally Deaf. 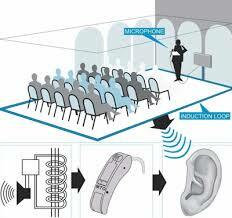 Have technological solutions to their hearing loss (eg, hearing aids). Often use Australian Sign Language (AUSLAN) or the equivalent. Of course, there is a diversity of people with reduced hearing between these two end-points. A deaf child born into a “hearing family” will tend to be guided to a technological solution. Then there are those with Chronic Disorders of the Ear – eg, tinnitus, Ménière’s Disease, etc – and those getting used to a cochlear implant. As a Workshop Facilitator or Meeting Organiser, you have a range of options to consider to ensure that people with reduced hearing can fully participate. Culturally Deaf People will benefit from the use of AUSLAN Interpreters in situations where verbatim conversation is essential to effective communication. CART is the instant translation of the spoken word into text by a highly-skilled operator somewhat similar to a Hansard Reporter. The text appears on a computer monitor or other display, such as a projector screen. CART is also often referred to as real-time captioning. People with reduced hearing will benefit from the use of CART during group communication situations where verbatim conversation is essential to effective communication. There are a range of devices available for the home, the workplace and in public buildings to assist those with hearing aids get more out of every day communications. Hearing Loop and Infrared Hearing Systems help people who use a hearing aid or loop listener to hear sounds more clearly by reducing background noise. They are often installed in meeting rooms, churches, theatres, cinemas, banks, and shopping centres. At the end of each session, unless advised otherwise, ask the person with reduced hearing to give you some feedback on what you have discussed; if they do not understand what you have said try rephrasing, writing things down or arranging a later time . This document is largely derived from several year’s experience volunteering with the ACT Deafness Resource Centre, as well as resource material from the Commonwealth Government and from the Resource Centre. Note that this advice should only be used as a guide to the types of issues that you should consider rather than as the “be-all and end-all” of advice. The Hub recommends that the ACT Deafness Resource Centre should be your first port of call if you need help.